Our grandparents were eating foods that were healthier and more pure than today’s mass produced food. Beef came from grass-fed cattle; milk came from cows that grazed on pastures; bread was baked from the old Emmer wheat or Einkorn wheat. Geneticists were not around yet, so their food was safe from adulteration. The point of mentioning all this here is that modern wheat with many more chromosomes than the original Einkorn wheat has also much more gliadin content, which is the protein that makes celiac disease sufferers sick when they eat wheat. However, despite the significant chromosomal changes of modern wheat, which his grown in 99% of the world today no safety experiments were done to show that it is harmless to your health. There were no animal experiments and no human exposure trials with proper controls to show that it is safe to be exposed to the modern wheat varieties on the long-term. It turns out now in hindsight that it is not only the person with celiac disease that has to fear modern wheat. The increased concentration of gliadin in modern wheat is the protein that splits the sealant between gut cells and sensitizes your body to produce autoantibodies. The food processing plants mix wheat into soups, baby food, lip stick, sauces and a host of other processed foods,which increases the concentration of gliadin that you are exposed to, if you do not eliminate it. You have to be a detective in the supermarket and constantly read labels to look for wheat and avoid it, at least I do. The reason is that even low doses of wheat over a long period of time cause leaky gut syndrome and cause antibodies against gliadin. Soon after autoimmune antibodies against your own tissues are formed that will attack your gut cells (causing irritable bowel syndrome, celiac disease and ulcerative colitis); joint cells (causing rheumatoid arthritis), thyroid cells (causing Hashimoto disease) and it can even cause colon cancer. Remember, there have never been any clinical trials to show that modern wheat is safe. Oats used to be thought safe to eat for celiac disease patients, provided they are not contaminated with rye, wheat or barley. As this publication shows there can still be prolamins in oats, which are different from gliadin, but may be toxic for celiac patients. Another paper showed that there are different levels of gliadin- and glutenin-like avenins in different varieties of oats. These are subunits of prolamin. Depending on what type of avenins or prolamins are contained in an oat variety, the oat brand could be entirely gluten free, but the question is whether the manufacturer tested this before it reached the shelves of the grocery store. For a celiac patient it would not be safe to eat these types of oats as labeling requirements for avenins or prolamins do not yet exist. So the label “gluten free oats” may be misleading as oats containing prolamins or avenins still could make celiac patients sick. So, what are safe gluten substitutes? Rice, corn, soy, chickpeas, sweet potatoes and nuts. A helpful reference can be found through this link. As we will discover below, unfortunately in the US most rice, corn and soy is now GMO food and celiac patients will likely react much more to these as they are more sensitive and will likely produce autoantibodies easier. So stick to organic rice, organic corn and organic soy (often the package will mention ”free of GMO”). It is interesting that no law was passed so far in the US and in Canada that GMO foods should be labeled. This is changing rapidly as people realize that in Europe many countries have required all GMO foods to be labeled as such. Here is a publication that shows that the GMO labeling campaign is gaining momentum. Genetically modified corn and soy contains the Bt toxin; it has been found in babies as mentioned in this article. Bt toxin damages the small bowel (the ileum) through Cry1Ab (the protein produced in genetically modified corn and soy), which disables the absorption of vitamin B12. This in turn will cause anemia (historically the cause of pernicious anemia was found to be due to a lack of vitamin B12 absorption). Drs. Anthony Samsel and Stephanie Seneff stated about the effects of Roundup in a publication dated April 2013 that glyphosate’s inhibition of cytochrome P450 (CYP) enzymes, which is a crucial detoxification enzyme complex in the liver has been overlooked when studies were done regarding toxicity in mammals. The CYP enzymes in the liver is important to metabolize and eliminate estrogens and also helps to detoxify xenobiotics, which are estrogen-like substances as residues from insecticides and other chemicals. Thus, glyphosate (=”Roundup” produced by Monsanto) amplifies the damaging effect of environmental toxins and chemical residues from non-organic food that we eat. 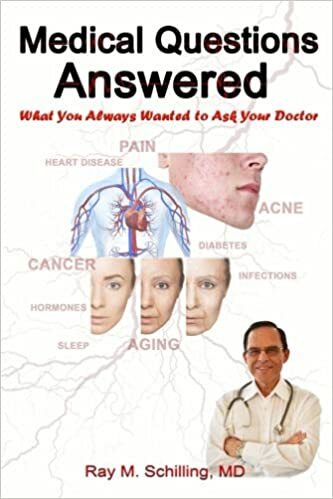 The build-up of estrogens and xenoestrogens has been shown to be responsible for many cancers (atypical Hodgkins lymphoma, breast cancer, prostate cancer, colon cancer etc.). Here is a summary of the 10 most common GM foods in the US : Sugar beets, potatoes, corn, tomatoes, squash, golden rice, soybeans, soybean oils, animal feed, salmon. You see that almost all of our foods are being invaded by genetic engineering. Why is that of any concern? The problem is that it is extremely difficult to conduct safety studies for human consumption. 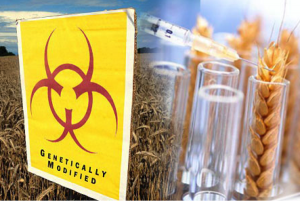 It likely takes three generations of feeding GMO food before diseases develop and in the case of humans where the reproductive cycle is 30 years this would mean that it could take up to 90 years to obtain meaningful human safety study results. From a commercial point of view this is perceived as too long, so the standard rat or mouse model of testing for 90 days was introduced, which is used instead as a “test for toxicity for mammals”, but typically this does not show any change between GMO food compared to regular food (as it is too short an observation time). I have described this earlier in this blog. In this recent publication pigs fed GM crops were found to have severe stomach inflammation and the female GM fed pigs developed a 25% larger uterus than the non-GM-fed controls. The 20-year approval process for GMO foods is flawed according to this review. It states that Belgium researchers found virus particles in GMO foods that were not assumed to be present, but never tested for. This is fed in feedlots to milk producing animals and beef cows and gets transmitted into milk and beef. The FDA, USDA and other official food safety agencies continue to state that GMO foods are safe. As outlined in the beginning of this blog a significant proportion of the US public disagrees about the safety of GMO foods and wants all GMO to be clearly labeled. We should have a choice whether we get organic food with no chemicals, no antibiotics and no GMO in it or whether we buy the cheaper regular food. Originally wheat was modified by hybridization to safe the world from hunger. The production worldwide has improved tremendously so that this objective has been reached. However, since then genetic engineers have worked on adulterating the rest of our foods mostly with the aim to make farming on a large scale easier. In both instances safety testing on animals and humans was never properly done, and it is only now that it is becoming apparent that there are flaws with regard to food safety both in wheat and with GMO foods. With wheat it is the higher concentration of gluten and gluten-like substances that cause a leaky gut, a breakdown of the gut/blood barrier and cause autoimmunity and colon cancer. GMO foods may transmit viral particles and Bt toxin, which can cause autoimmune diseases and fertility problems as well as interference with the liver’s detoxification system, which causes cancers. The full health impact is not clear at this point and it may take another 70 years for wheat and another 80 years for GMO foods to find out all the consequences. Some people have decided not to be part of this mass experiment and rather buy organic foods. I belong to this group. 1. William Davis, MD: “Wheat belly. 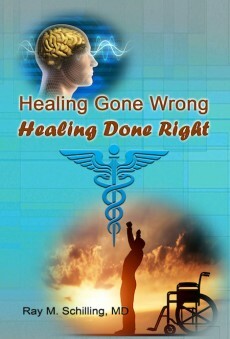 Lose the wheat, lose the weight, and find your path back to health.” HarperCollins Publishers Ltd., 2011. 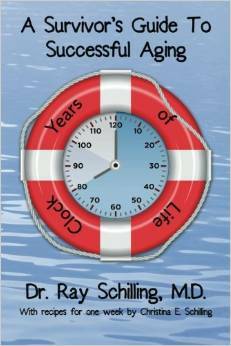 Lessons from the 2012 Anti-Aging Conference in Las Vegas…From Wheat to Autoimmune Disease and Obesity.